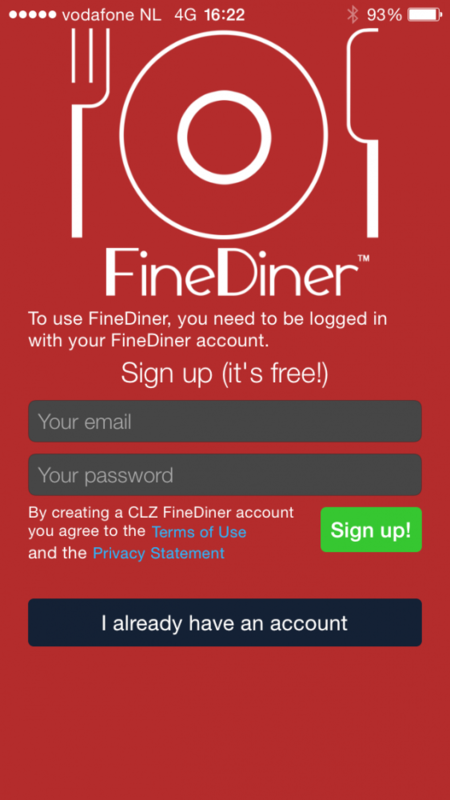 The FineDiner app is a free app for iOS, one app that works great on both your iPhone and iPad. Download it here, or just open the App Store on your device and search for “finediner”. 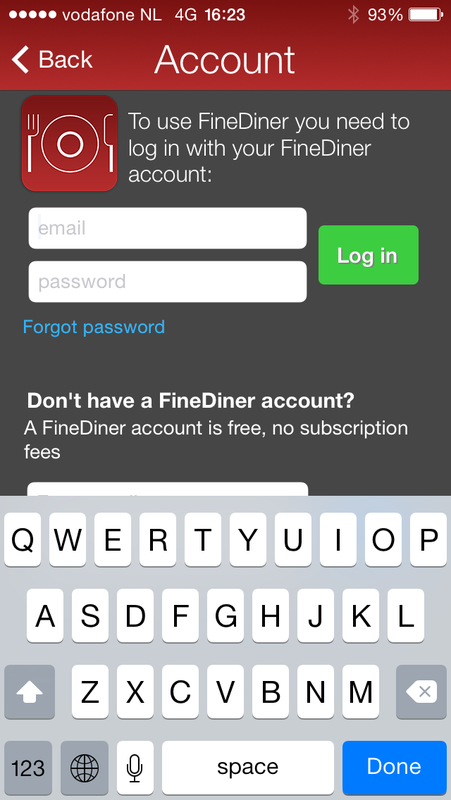 To use the FineDiner app, you need to create a FineDiner account. Access our central online restaurant database, for automatic restaurant details and logo images. Automatically backup your restaurant journal in the free FineDiner cloud storage. Sync data between your devices, e.g. your iPhone and your iPad. When you start the app for the first time, you will be greeted by the Sign Up screen. Fill in your email address and a password to create a free FineDiner account. You can also login with an existing account, for example if you install the app on a second iOS device. To do so, click the big “I already have an account” button at the bottom of the initial screen, which will bring you to the Account screen. You can also get to the Account screen anytime using the Settings button at the top left.